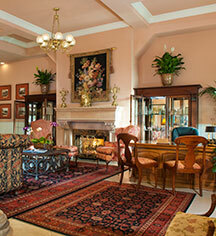 The Napa River Inn has 66 rooms, many with fireplaces, river views, and balconies. It has two restaurants, breakfast served in-room, a gift shop, day spa, and lively night club on-site. Recently awarded Four Star designation by Forbes Travel Guide, the Inn is also downtown Napa’s only Michelin rated hotel. 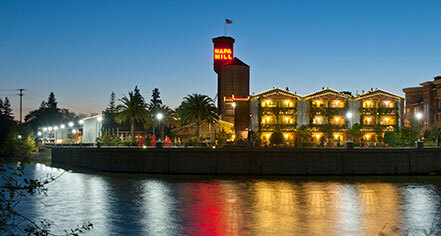 Napa River Inn, a member of Historic Hotels Worldwide since 2004, dates back to 1884. Click here to watch a video about the Napa River Inn. When built in 1884, the Hatt Buildings included a second-story skating rink with tongue-and-groove White Rock maple planking from Chicago.